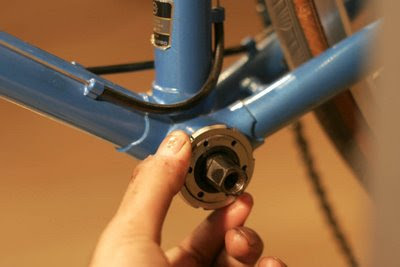 The bottom bracket of a bike is like the transmission on a car. It enables the smooth rotary transfer of power from your legs to the wheels. Like the transmission on a car, its also often neglected. People could remember to do their engine oil changes, but when did they do their last transmission oil change? We'll change that! First, when I say CC it means counter clockwise and when say CW i mean clockwise. First you have to take the crankset off. 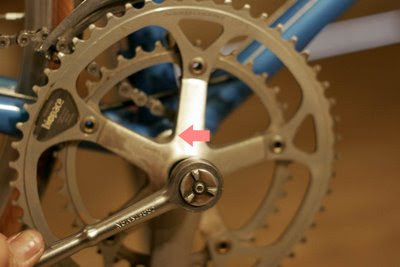 The crankset is held in by a bolt, usually its under a dustcap so just pry it out. You're going to need a 15mm socket (or sometimes i use a 9/16th socket). 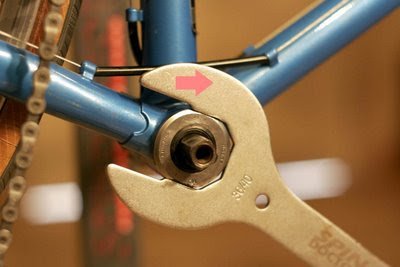 The threading is normal so to remove it you'd turn the wrench CC. 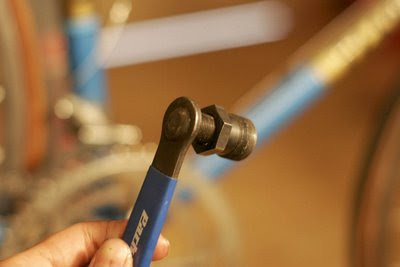 To remove the crank, you're going to need a crank puller. This baby threads into the crank, then pushes it out when you extend the inner piece. Remember to crew it in lightly making sure not to crossthread anything because the aluminum threads are quite weak. Then use a wrench to screw it all the way in because if you don't, in the process of pulling it you might break the crank's threads if its not in far enough. Now that that's off, I highly suggest getting a fixed cup wrench or at least a headset wrench for the next job. 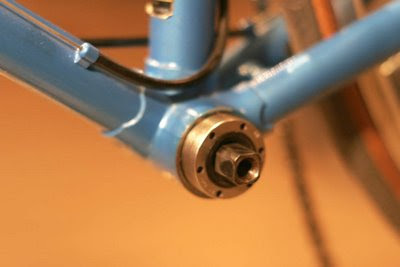 The right side bottom bracket cup is called the Fixed side. Its made to not move and can be quite hard to remove. 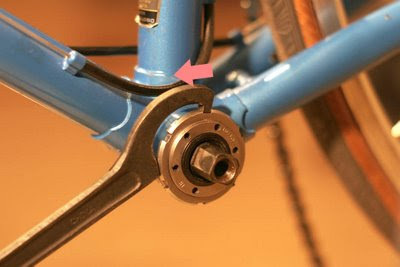 The threading is also left threaded or "backwards". That means to unscrew it you have to go CW. Once that's off, move on to the other side. This is called the adjustable side. 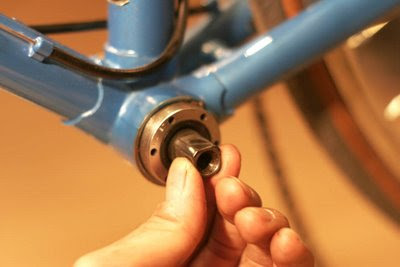 First you have to remove the lockring. You're going to need a spanner wrench for this, the threading is normal so to unscrew it you'd turn it CC. 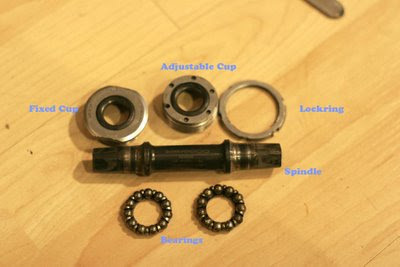 Once the lockring is of you need a special tool for the adjustable cup. I've never bought one because this side is usually not on as tight and found that I've been able to use needle nose pliers for the job. Again, to uncrew, turn CC. Pull everything out and wipe everything down. Sometimes there's rust on there so its good to use some kind of rust solution to rinse out as much of the gunk as possible. WD40 works pretty well for that. Remember to wipe it clean after using the wd40. Sometimes the ball bearings get really beat up after the years so its a good idea to get a new set, you can order from eBay or most bike shops would have them too. 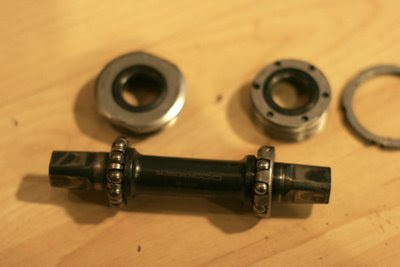 When it's time to put it back together make sure the bearings are facing the outside. The balls need to be rolling on the spindle and the cups. DISCLAIMER: I have them on wrong in the pics. Do it the other way! Now you're going to give it a healthy serving of grease! You cannot skip this step, if you do, your bearings will DIE! Grease everything up and make sure its drowning in it. Install the fixed cup (right side) and make sure its on there nice and snug. Don't forget that the threading is reversed so to screw it in you'd have to turn CC. 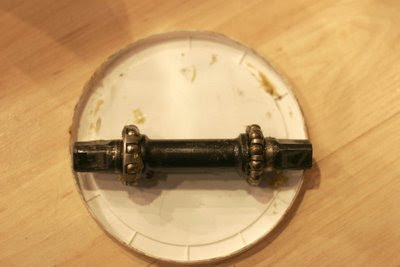 Once the fixed side is on, move to the left side and install the spindle with the bearings on it. Now install the adjustable cup. You only need to make it hand tight for now. Now this next step requires a bit of diligence. You're going to screw the adjustable cup in until it feels kind of tight. At the same time you're going to pull on the spindle to see if it moves. The tighter you screw the cup on, the less free motion the spindle will have. The goal is to get the cup on just right so that there is minimal up and down or in and out spindle motion but the spinning motion is perfectly smooth. If the spindle does not spin smoothly, then you've tightened the cup too much. if its wiggling loosely then you need to tighten it some more. 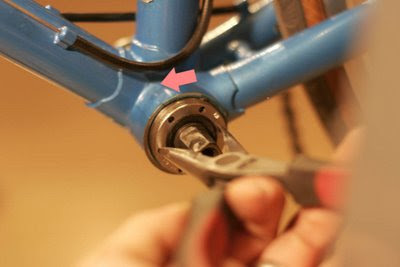 Once you get the adjustment on the cup to your liking, install the lockring to hold it in place. When you tighten the lockring the cup will move a bit, so I used my needle nose pliers to keep it from turning when I'm tightening the lockring. 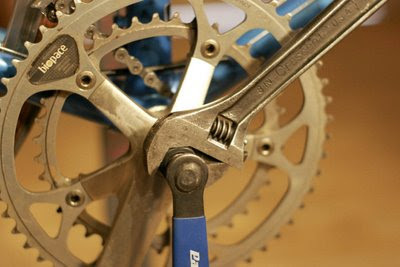 Install your cranks and bolt them in securely and you're good to go! 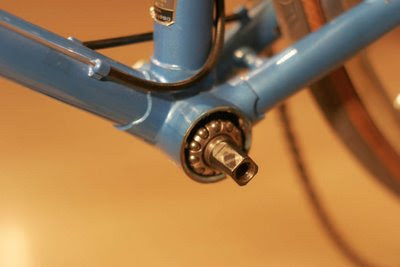 As a side note, I haven't looked up the proper terms of the bottom bracket pieces.. The names I gave them are just what I'm used to, anyone at a bike shop will understand you if you used those terms though (I didnt totally make them up to trick you haha). Also, this procedure would be considered a quick cleaning. Some people like to go into more detail when doing these kinds of services for their bikes so don't be alarmed if I skipped a step or two.